Campus safety is an important consideration for any community. To enhance campus safety, the University of North Carolina at Charlotte provides an annual report to current and prospective students and employees. The information in this report can help empower members of the campus community. Students and employees can take advantage of campus resources and can make well based decisions that impact individual as well as community safety. The Jeanne Clery Disclosure of Campus Security Policy and Campus Crime Statistics Act mandates all colleges and universities, which receive federal financial assistance, to annually produce a report regarding campus crime and safety. Each year the updated report must be distributed to current students and employees. Prospective students and employees also must be made aware of the availability of the report. One of the best explanations of this federal law comes from The Handbook for Campus Crime Reporting (U.S. Department of Education, Office of Postsecondary Education, Washington, D.C., 2005). In 1990, Congress enacted the Crime Awareness and Campus Security Act (Title II of Public Law 101–542), which amended the Higher Education Act of 1965 (HEA). This act required all postsecondary institutions participating in Title IV student financial aid programs to disclose campus crime statistics and security information. The act was amended in 1992, 1998 and 2000. The 1998 amendments renamed the law the Jeanne Clery Disclosure of Campus Security Policy and Campus Crime Statistics Act in memory of a student who was slain in her dorm room in 1986. The Clery Act requires higher education institutions to give timely warnings of crimes that represent a threat to the safety of students or employees, and to make public their campus security policies. It also requires that crime data are collected, reported and disseminated to the campus community and are also submitted to ED. The act is intended to provide students and their families, as higher education consumers, with accurate, complete and timely information about safety on campus so that they can make informed decisions. 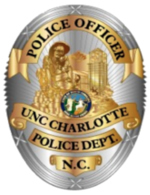 The Police and Public Safety Department at the University of North Carolina at Charlotte is responsible for preparing and distributing this report. The department works with many other campus departments and outside agencies, such as the Offices of the Dean of Undergraduate Students and the Dean of the Graduate School, and the Charlotte-Mecklenburg Police Department to compile the information. Members of the campus community are encouraged to use this report as a guide for safe practices on and off campus. For a paper copy, contact the Police and Public Safety Department at the University of North Carolina at Charlotte at 704-687-8300.